So today I stumbled across Barista Espresso Bar conveniently located at Goldbrunnenplatz, Zurich. Barista Espresso Bar firstly opened a few months back by Ramon Schalch, who I met today and his friends, who I can’t name because of the informal nature of my visit….I didn’t make notes at all. Interesting is though that Ramon’s liking for coffee actually starts not as a consumer, but more as a producer – he had spent almost a year in Columbia on a coffee farm. Last summer he comes back to Switzerland and quite quickly manages to open Barista Espresso Bar. 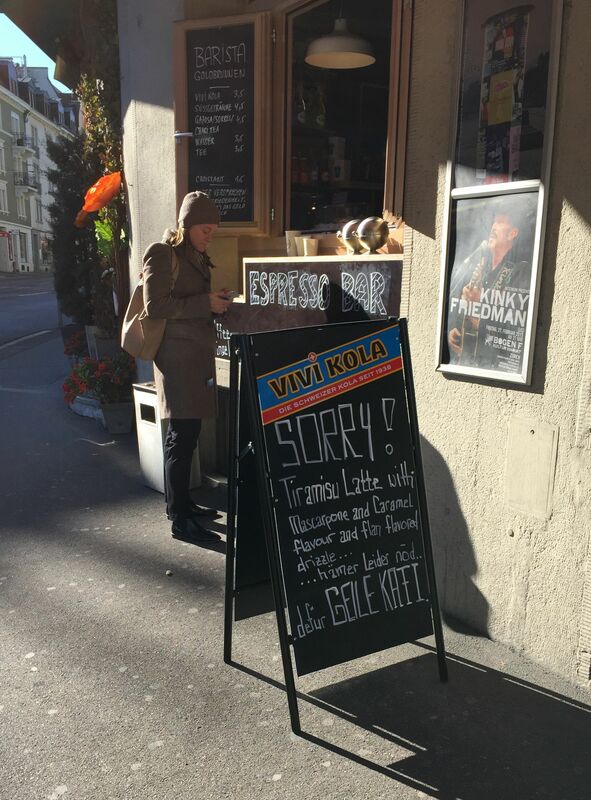 They also roast their own coffee in Eglisau, not too far from Zurich – it’s called Vivi Cafe. Like the once popular in Switzerland fizzy drink Vivi Kola, which you can also find there. 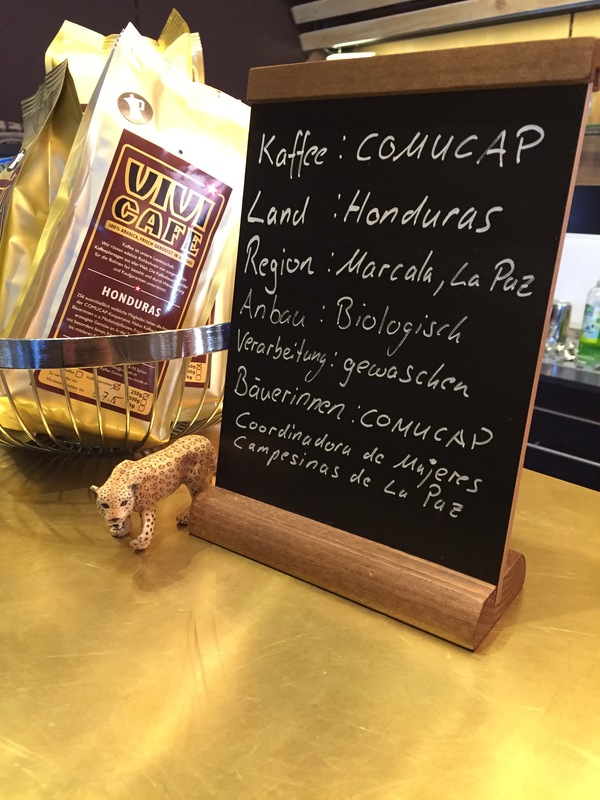 The whole team travel a lot and like to source their own coffee, what I tried was their house blend – dark chocolaty and nutty espresso and also their single origin they had in the other grinder – a Honduran washed coffee from the Marcala, La Paz region. Coming from the COMUCAP association (Coordinating Association of Rural Women of La Paz). They are sourcing coffee beans with stories apparently. And what I am very happy to see is that the information reaching the end consumer in Switzerland is getting more and more. Hooray for coffee traceability! Definitely an advantage of Barista Espresso Bar is their “to go window” or should I say “walk-through” ? Anyway, the idea is that you can get a nice coffee made on their La Marzocco GB5 without even getting into the bar. Which is a very good thing especially for the convenience seeking customer.